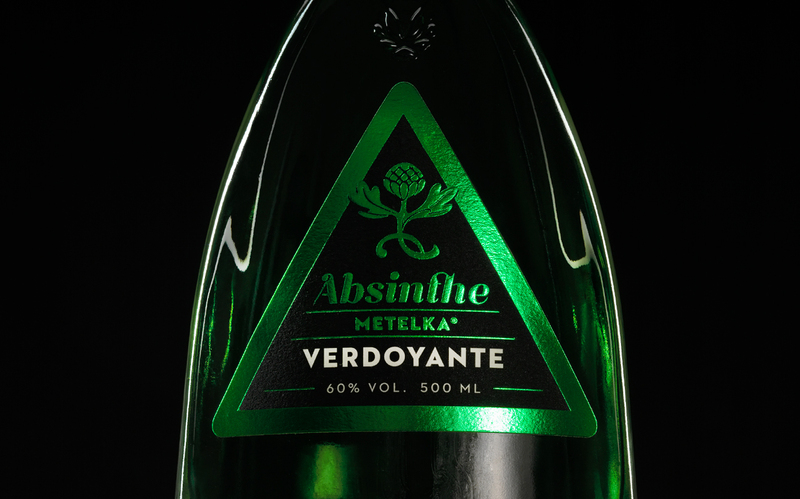 Brand design of a product line Absinthe Metelka. 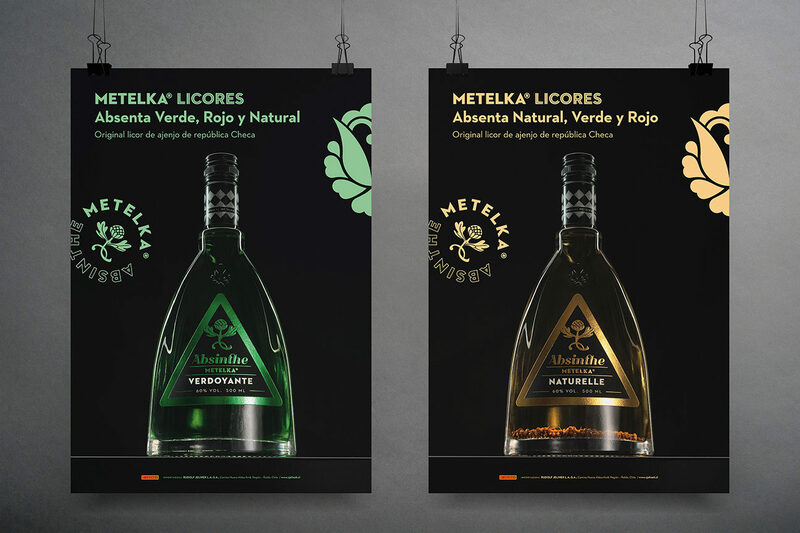 The Studio Design Herynek provided a complex design. 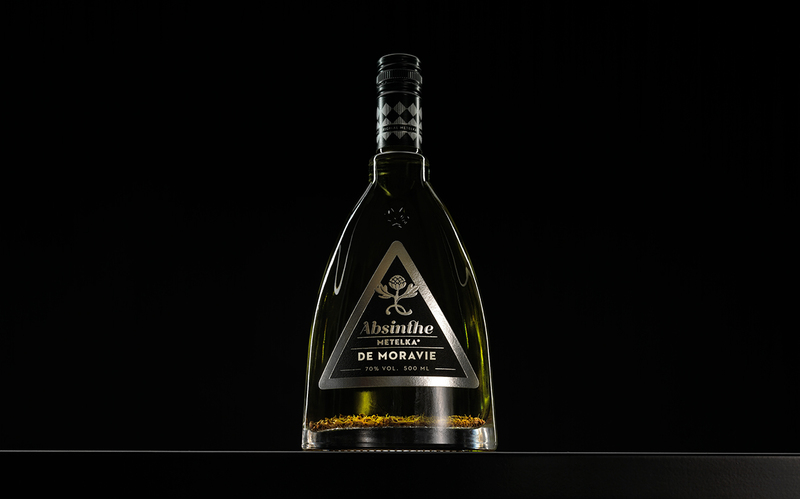 The development of the name Absinthe and a designation of each product with a reference to a French origin of the absinthe. 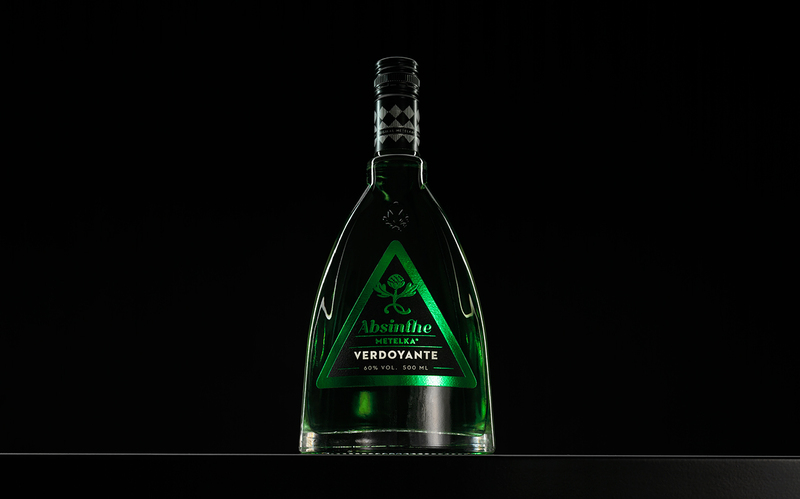 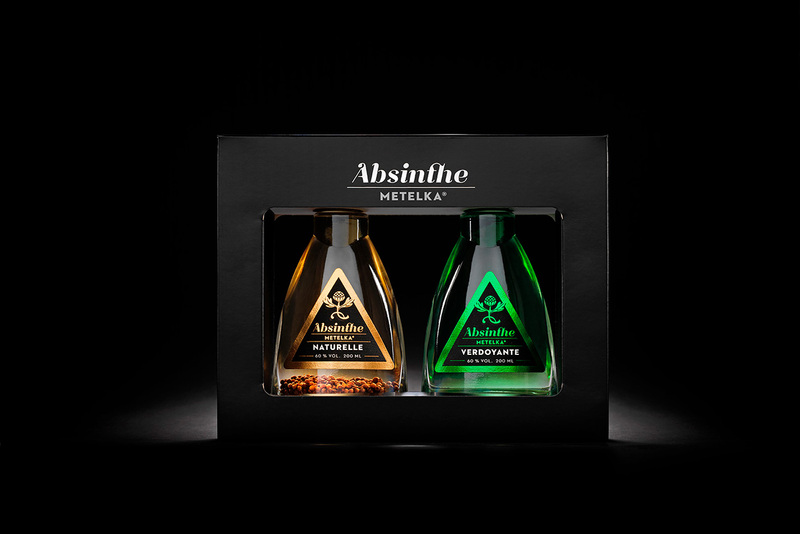 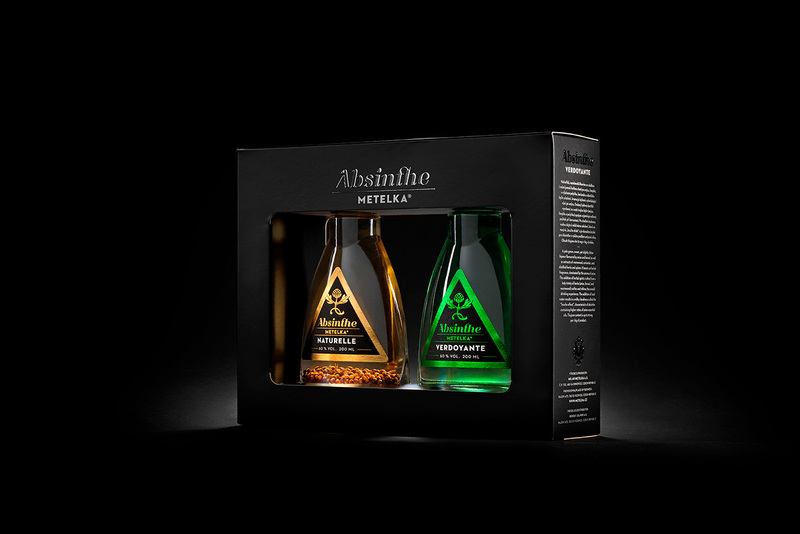 The design of the bottle emphasizes its volume and quality, and it also expresses ambitions of the liqueur company to offer the best absinthe made in series. 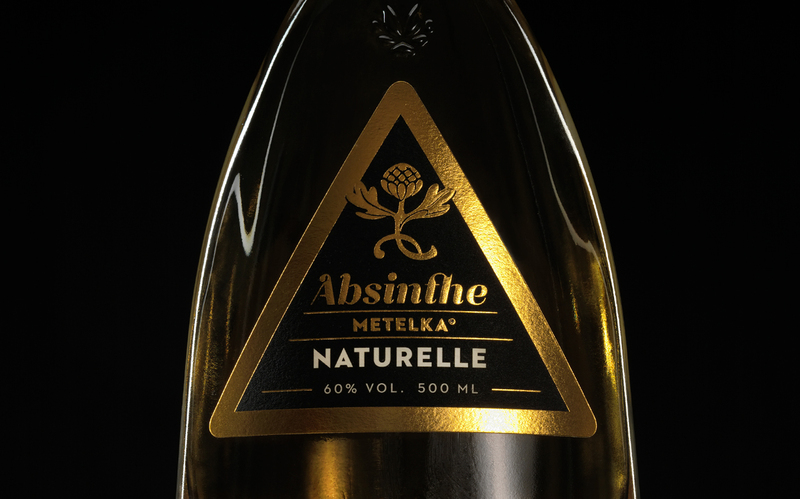 The shape of the ground of the bottle reminds of an eye and at the same time it forms lens. 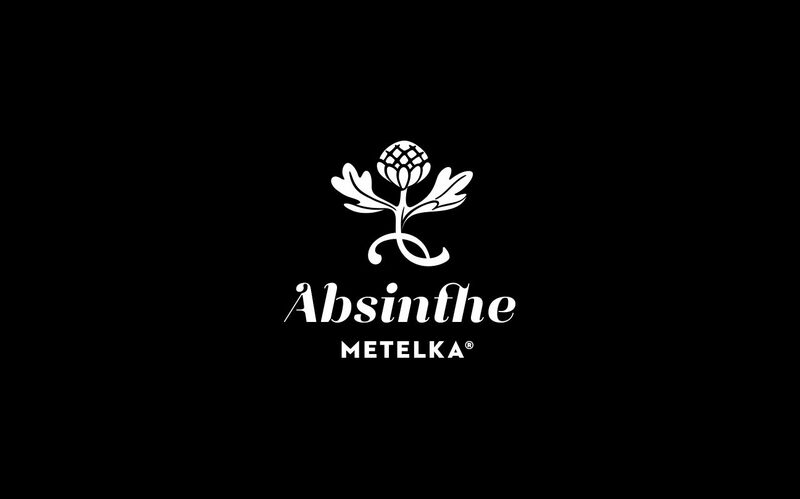 These two aspects were used in the original version of the label design. 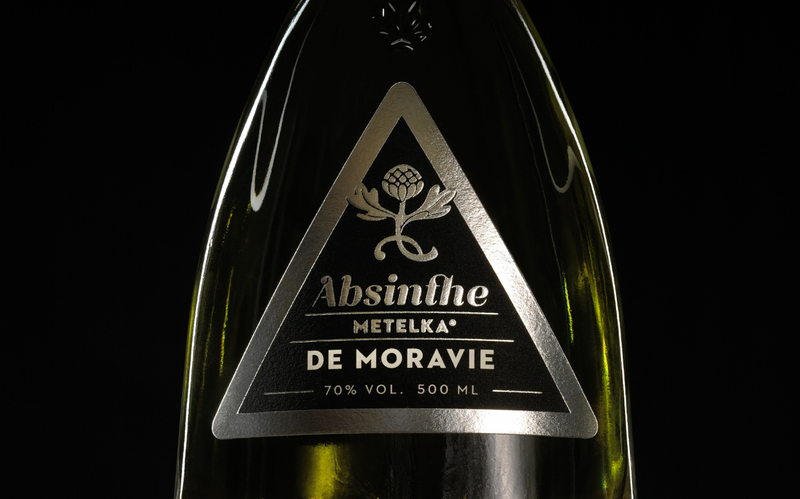 An adapted sage flower creates the Absinthe brand which is completed with the brand typography. 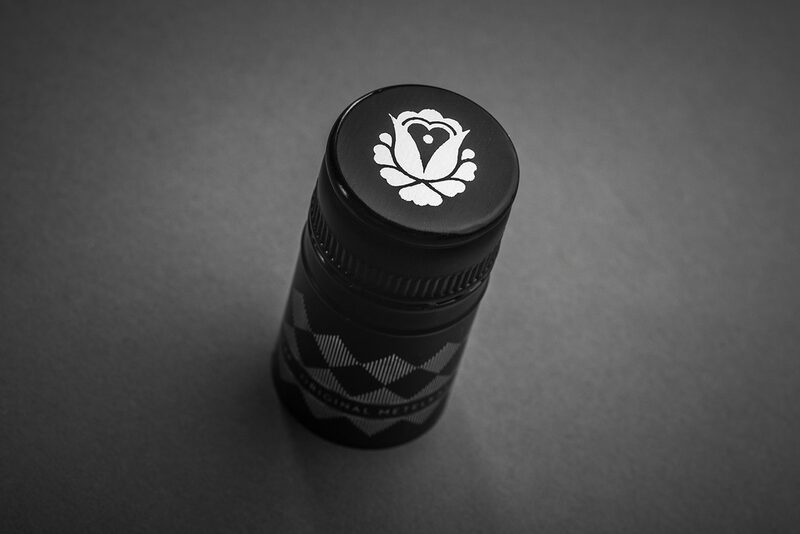 The labels are printed on natural paper using black and white colours and are completed with a metallic embossing. 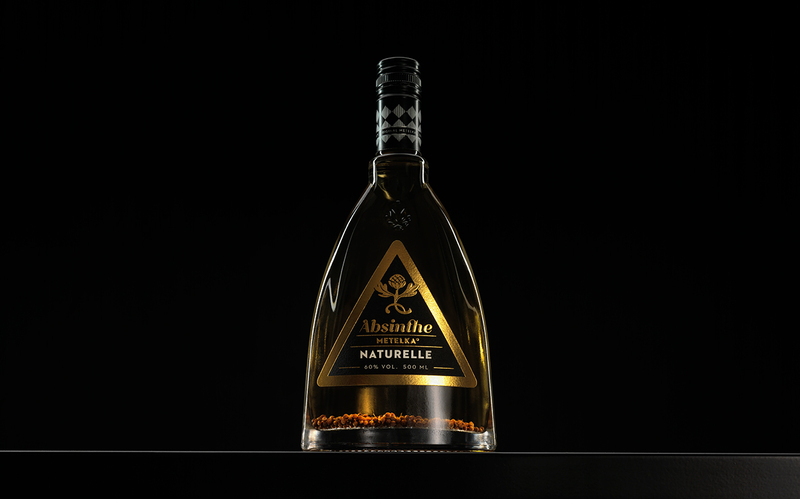 The triangle shaped label adjusts to the shape of the bottle and draws attention of customers. 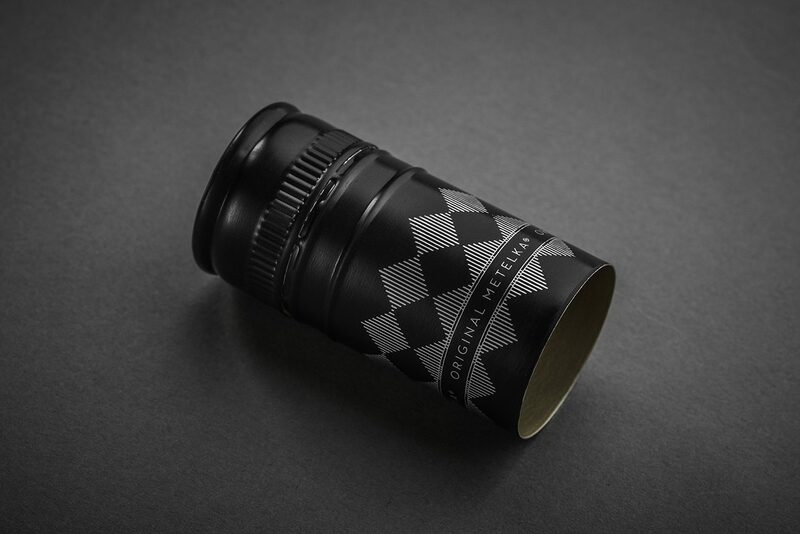 The black bottle cap emphasizes the bottle as a whole and can be used with different brand products.